Twentieth Friend, William Cecil, 1st Lord Burghley “To his Daughter Ann, New Year’s Day, 1567” – Everything is Oll Korrect! 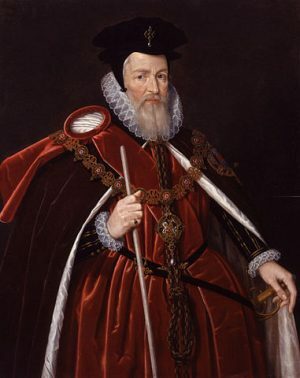 Today we’ll meet William Cecil, 1st Lord Burghley. He’s another Elizabethan, living 1520-98, but he’s not well-known as a poet. Rather, his legacy lies in the world of political history, especially as Queen Elizabeth I’s principal adviser. An outline of his political career would be well beyond the scope of this series, but in short he seems to have been quite competent, though as one would expect of an adviser to Elizabeth, one’s ultimate judgement of him comes down to what one thinks of Elizabeth, which often depends on whether one is Catholic or Protestant. And time will move to look to thrift. I send you now a spinning wheel. Sweat not (O fie! ), fling work in fire! You long years and your father health. This is likely technically the least exciting poem so far, but I enjoy it nonetheless. Children often look forward to and try to imitate adult duties, and so Lord Burghley sends Ann a spinning wheel. However, she is still a child and so he urges her to spend more time in play (“fling work in fire” is rather strong, but hey, it gets the point across). There is some irony here in that Lord Burghley himself was a tireless worker, and continued serving the Queen even as his health declined to the day he died. I’ll finish up this post by wishing all of you a happy New Year, and remember to work hard – but be sure to spend at least some time in play as you can.